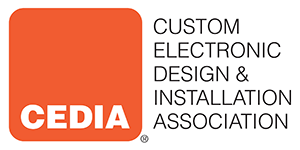 Cre8 AV has many years experience of home audio visual installations, from simple plasma screen installation to entire home audio visual systems with the latest home automation technology. We work with with architects, builders and home owners to design home automation and audio visual solutions that cater for your every need. The skills and experience within our organisation are second to none and you need look no further for a high-end one-stop solution for all home audio visual solutions. Let us Cre8 the ultimate smart home experience that is tailored for you and your family. Contact us today to find out how we can help with your next home audio visual project.